Here the location of the starter motor on the new B48 engine,,,,,this is as easy as it comes,,,,this is located at the very bottom of the engine,,,,all you have is 3 bolts holding in place and only 2 cables to remove from the starter,,,,just disconnect the battery please,,,,on PHEV please disconnect the special battery for the starter motor only which should be located inside the engine compartment inside a covered box. This is the flywheel after the starter is removed,,,,now you can check the flywheel teeth are ok,,,,the problem is turning the flywheel to check all the teeth,,,,on the B48 its not easy to get to the front pulley to turn the motor. 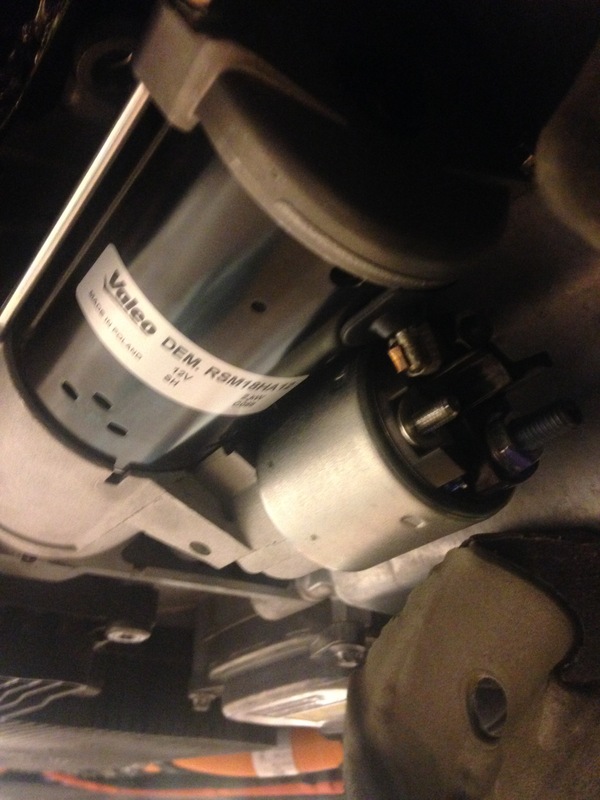 This entry was posted in Uncategorized and tagged B48 engine, starter motor. Bookmark the permalink. Can you tell me where the timing chain and water pump located in B48 on 2018 X3 2.0 turbo engine? Thank you! 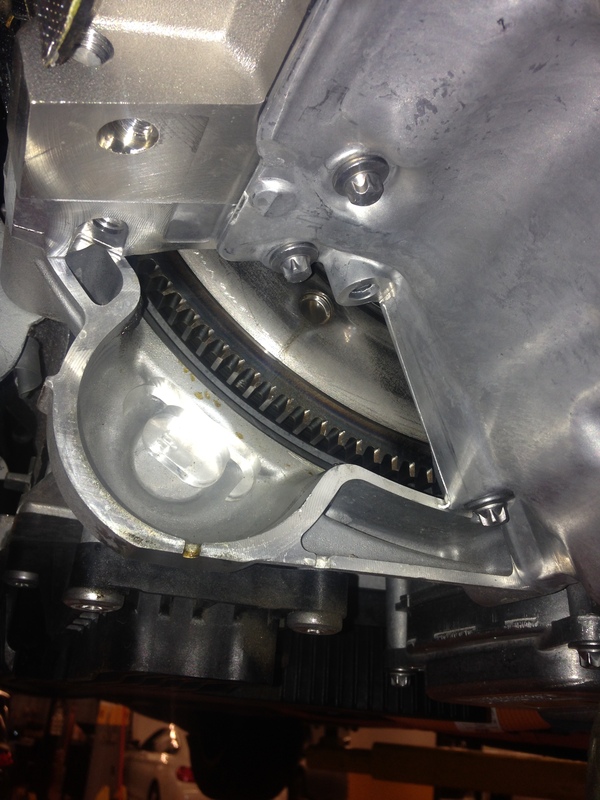 Ok the waterpump is located in the front of the engine and is ran with the drive belt,,,,now the timing chain is at the rear of the engine by the flywheel. So, the new 2018 X3 30i with the B48 engine, the timing chain also in the back? Anything like replace the timing chain or chain guide the engine has to come down and will cost so much to fix?